There is a negative stigma around opioid addiction, when in fact it is fairly easy to become addicted. Research shows that it only takes 5 doses of prescription painkillers to develop an opioid addiction. 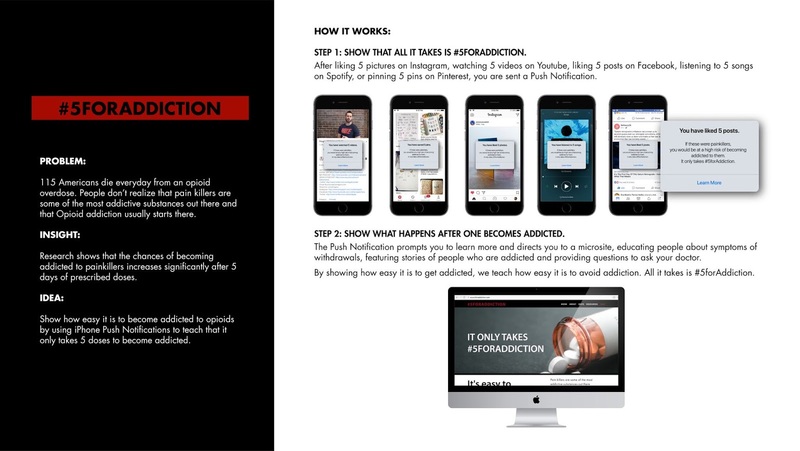 So we took our most harmless addiction, social media, and used notifications to raise awareness on opioid addiction. Headline and copy text:IT ONLY TAKES #5FORADDICTION.